Many awards have been given to the Ram 1500 in 2018. Some of these awards would include having the most luxurious trims with the Tungsten Limited Edition, having the most interior space with its Mega Cab, and even being the most capable off-roading full-sized pickup with the Power Wagon model. 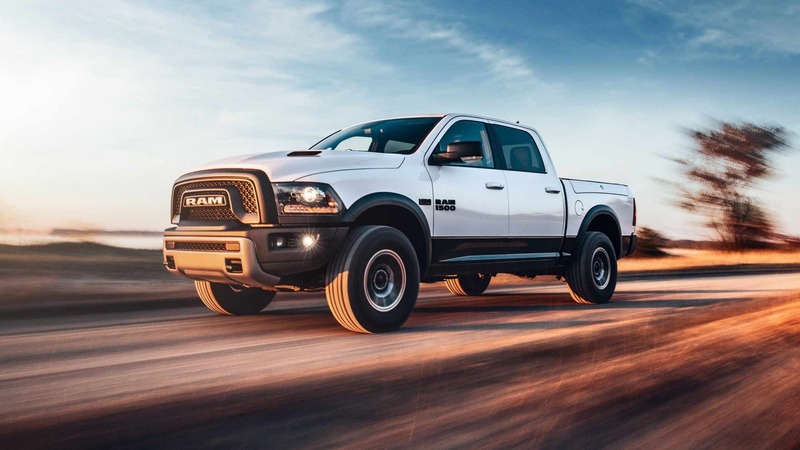 If you are wondering why Ram has the highest owner loyalty for half-ton pickups, simply look at all the new features and options for 2018. A new leather interior option is available to the Rebel, an appearance upgrade has been made for the Sport model, 8.4-inch HD radios have been installed with 4G LTE and improved resolution, a Sirius Guardian has been added with SOS Call and Vehicle Finder, and so much more! What engines are available for the 2018 RAM 1500? The first of three engine options is a 3-liter EcoDiesel V6 engine with 240 horsepower and 420 pound-feet of torque. This engine is capable of delivering a strong 27 miles per gallon average. The next engine out of the three is the 3.6-liter Pentastar V6 with 305 horsepower and 269 pound-feet of torque. This engine delivers an average of 25 miles per gallon. The third and final engine is the 5.7-liter HEMI V8 with variable valve timing. This engine produces 395 horsepower and 410 pound-feet of torque, as well as a 22 miles per gallon average. 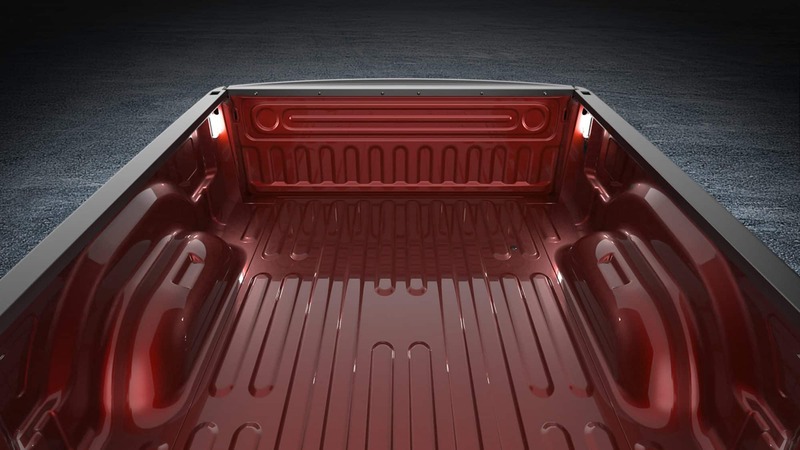 Eleven different trims are available to choose from on the Ram 1500. 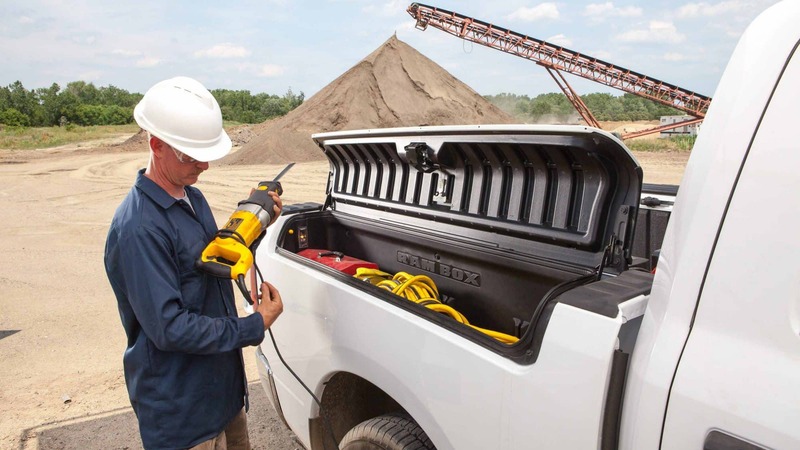 The base trim is the Tradesman with an all black and metal look, a Class IV hitch receiver, cruise control, and a spray-in bedliner. The Express trim is another worker's truck with a body-colored exterior trim, carpeting, and 20-inch wheels. 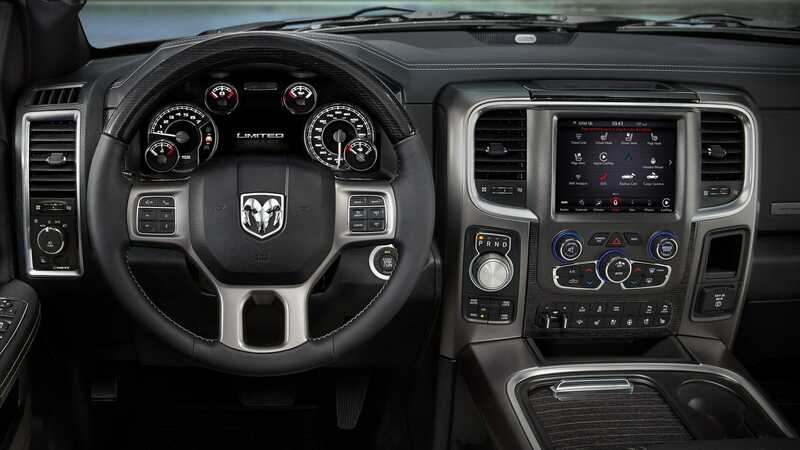 The Big Horn adds more features like a dual-zone automatic climate control, a leather-wrapped steering wheel, a 110-volt power outlet, a Uconnect Access system, and a power-adjustable driver seat with upgraded cloth seating. The Night and Sport models are fairly similar with both giving off a street flair style with features like projector headlights, black wheels, adjustable pedals, and LED interior lighting. The Sport model gives it a little more with 22-inch wheels, a blacked-out grille, and a sport hood. The Harvest model brings in extra ground clearance, black tubular side steps, a unique chrome grille and bumpers, skid plates and tow hooks, and all-terrain tires. 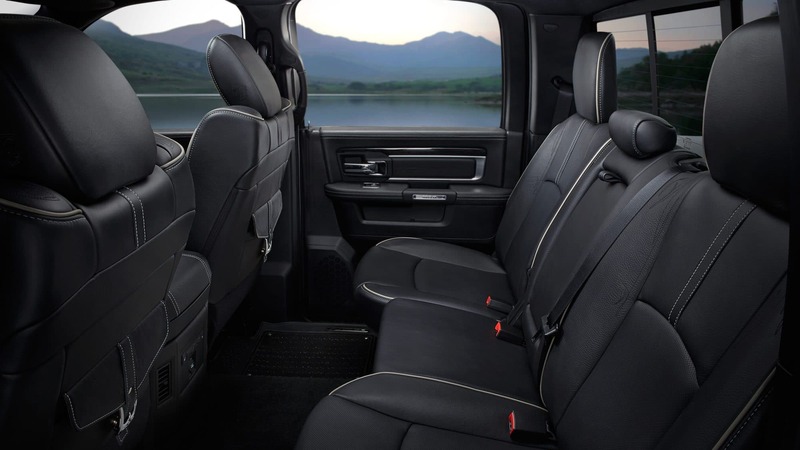 The Laramie builds off the Big Horn with wood trim, a 10-speaker audio system, auto-dimming mirrors, and both heated and ventilated leather front seats. 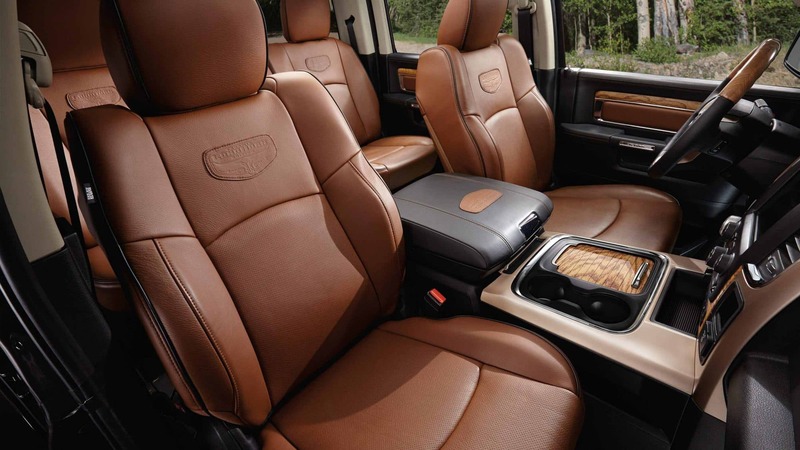 The Laramie Longhorn mixes together the ideals of luxury and work truck with features like keyless entry and ignition, wood interior trim, navigation, upgraded leather upholstery, and remote start. The Limited tops the lineup with side-step bars, a self-leveling air suspension, automatic high beams, fancier stitched leather, and a monotone paint scheme. A variant trim would be the Rebel with its top-notch off-roading capability. This final trim comes with tow hooks, black fender flares, all-terrain 17-inch tires, Bilstein shock absorbers, and LED foglights. 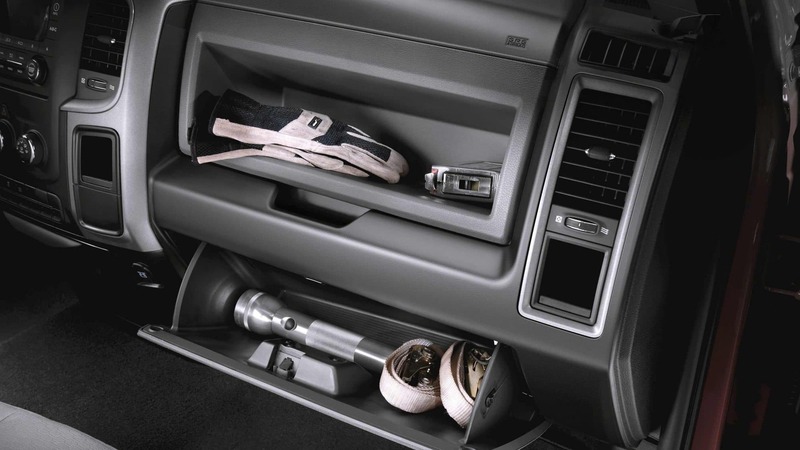 Many features in safety and security are available to the Ram 1500. The standard features include power assisted 4-wheel antilock disc brakes, front seat side-mounted airbags, trailer sway damping, supplemental side-curtain airbags, electronic stability control, ready alert braking, all-speed traction control, hill-start assist, advanced multistage airbags, four-wheel ABS, a Parkview rear backup camera, and rain brake support. Additionally, upper-level trims and optional packages can include features like a remote start system, a remote keyless enter n' go, an all-secure remote keyless entry system, a rear park assist, a security alarm, and a trailer brake control system. 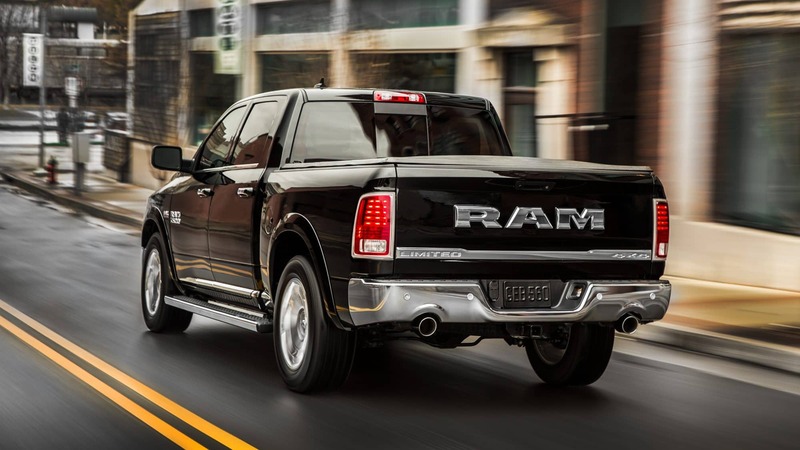 Whether you are looking for a work truck or a luxury truck, the Ram 1500 offers it all. If you are interested in taking one of these 1500s for a test drive, then give us a call or stop by the lot. We are more than happy to help!